Closeouts. When you want superior hand protection but cumbersome leather gloves just won’t do, grab Dickies’ Tough Task Hi-Vis Synthetic Leather Palm gloves. 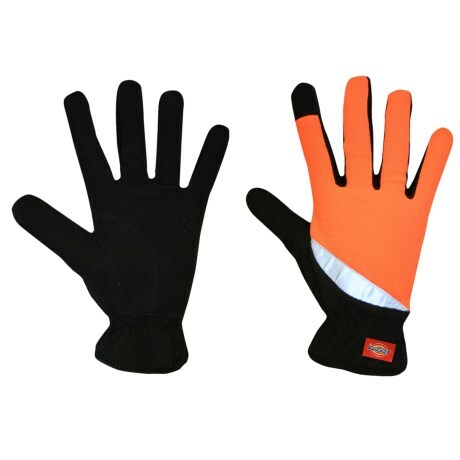 They offer the same protection you’d get from leather but with the dexterity and breathability of synthetic fabric. These come in a high-visibility color for added safety.